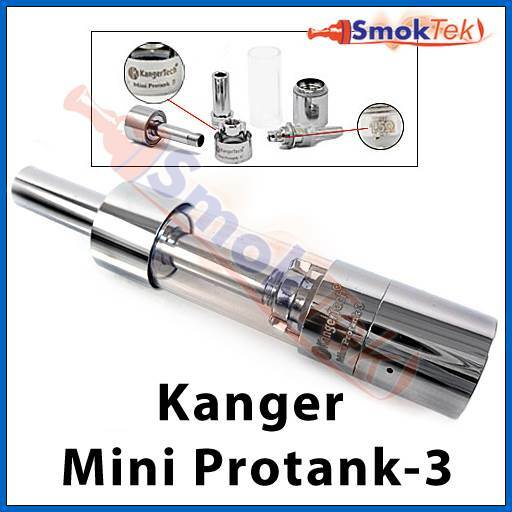 The Kanger Mini ProTank-3 is a glass tank bottom dual coil clearomizer. 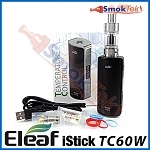 It has a pyrex glass tank, allowing you to use any juice without damaging the tank! 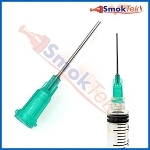 Great design with removable tip, easy to fill and simple to replace the coil. 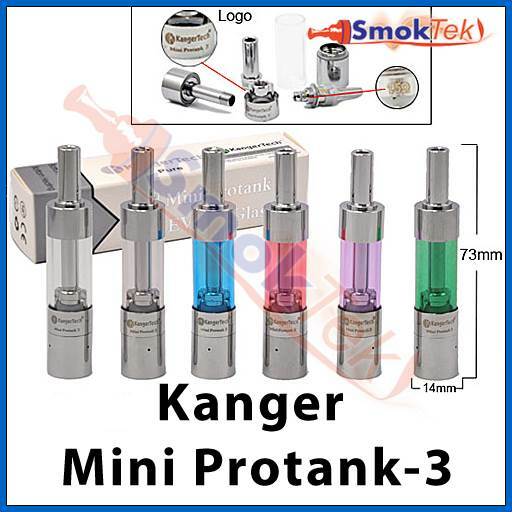 The Kanger Mini ProTank-3 offers great features and improved performance. 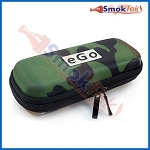 The Mini Protank-3 is eGo threaded and will work great with eGo batteries. 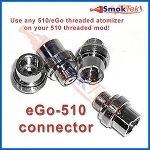 To use it on a 510 threaded device, you will need an eGo-510 connector. 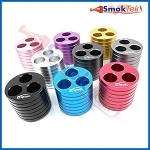 Protank-3 coil heads are NOT interchangeable with anything else, except the AeroTank. Please be aware! Tank is Awesome! Makes huge vapors. Doesn't leak and the new Kanger coils last a long time 30 day or more. (heavy use). I recommend is tank or the genitank to everyone. 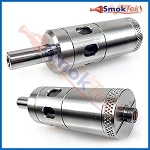 Like anything from Kanger.....these tanks are very well made, with excellent machining, and a beautiful chrome finish. 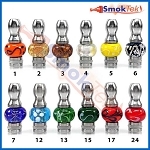 I like how they have a "press fit" mouthpiece so I can use one of my fancier drip tips, if I choose or, just stay with the glass smooth Kanger one that comes with the tank. 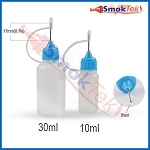 They're very easy to fill, don't leak, and give an honest flavor to all the varied juices I enjoy vaping. 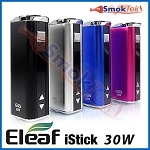 They are also very easy to take apart, clean,change a coil on, and reassemble. 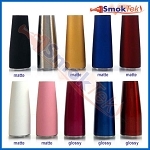 With Smok Tek's great pricing, selection of colors,and super fast shipping..... you really need to try these tanks! Nice little tank BUT it's hard to fully fill. After adding juice as high as possible and reattaching base, turn it right side up and it's 3/4 full at most. Also looks nearly empty after minimal vaping, since tube extends down in base so metal hides level. Probably works best for those who change flavors frequently. Installing new coil head is simple and easy. I guess I prefer tanks that hold more liquid than this one. If you're ordering from overseas (germany for instance) customs stole mine before I could try it. They left me the replacement head though. This might be the single best, lowest price, small tank out on the market right now. Own a couple. Want a couple more. Combine with a kanger airflow control valve and it's perfect. Durable. Easy to clean. Replacable parts. And nice solid hitting dual coils. For a small tank you can't get much better than this. Absolutely love it!! Works great, better vape better taste. Very happy with my tank purchase ! 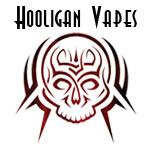 Q: I need some replacement atomizers (coils?) 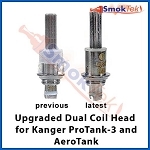 for the Kanger MiniProtank 3, however your site describes the replacement coils as being for the Kanger ProTank 3, omitting the word "mini". Are these the correct replacement coils for the "mini"? Thank you. I'm glad to help here! 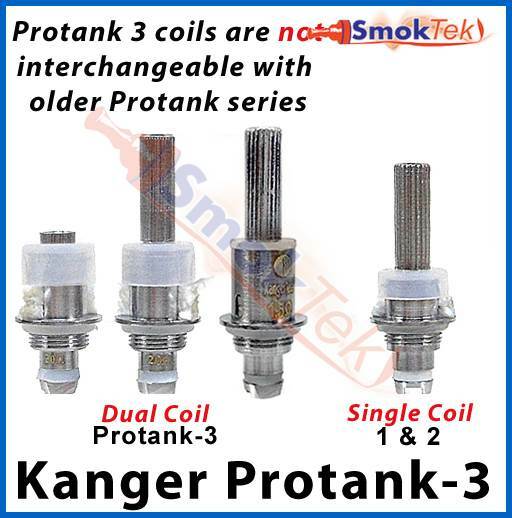 The Kanger Mini ProTank-3 takes the same coils as the Kanger ProTank-3. 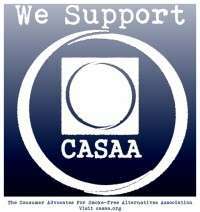 I'm posting the link below for convenience. 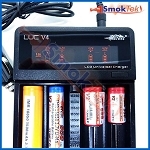 Q: I have a Mini Protank III, and the bottom connector that attaches the tank to the battery is really tall... I was wondering if there is a different, shorter connector available for this tank? We're glad to help! 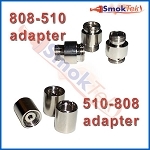 I'm posting links to both of our eGo-510 adapters below.